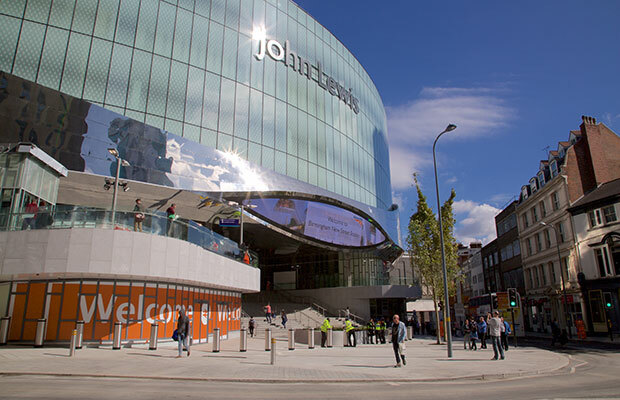 On October 25, the John Lewis Partnership (JLP) named Paula Nickolds as its next managing director, replacing long-serving leader Andy Street at the helm of the British retailer. Nickolds’ appointment will see her become the first female boss of the department store group since the company’s inception in 1864. Nickolds first joined John Lewis as a graduate trainee in 1994, and has risen through the ranks to occupy a number of senior roles at the group. Appointed to the board in 2013 as buying and brand director, Nickolds currently holds the post of commercial director – overseeing the look and feel of the groups 400 stores. Current managing director Andy Street will step down after 31 years of service. The move comes in the wake of Street’s announcement as the Conservative Party candidate for the upcoming mayoral elections in the West Midlands. Street will formally leave the position on October 28, with current operations director Dino Rocos set to lead the company through the crucial Christmas trading period. Nickolds’ appointment comes at a testing time for the British retailer, with JLP reporting a 75 percent fall in profits for the six months to July – shrinking to £56.9m. As the UK’s largest employee-owned business, the company’s profits are shared between its 88,900 staff members. This latest slump in profits has seen staff bonuses cut for the third year running – falling to 10 percent from a high of 17 percent back in 2013. As newly appointed managing director, Nickolds greatest challenge will be maintaining staff morale while looking to cut costs and boost profit margins at the partnership.